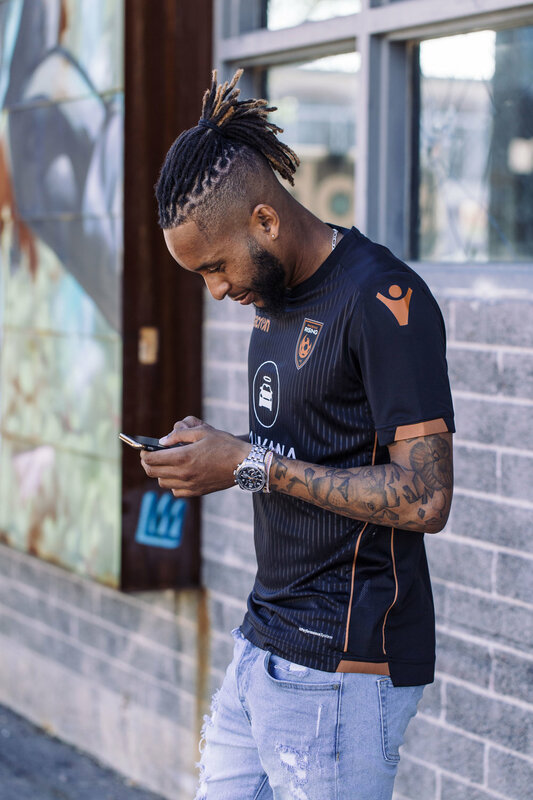 In an effort to get to know the Phoenix Rising FC players off the pitch, we spent the afternoon chatting with Amadou Dia and taking in the local art scene. Tell us a little about where you were born and where you grew up. I was born in Nantes, France. However I grew up in Paris until I was 7. I then moved to San Francisco for 3 years, and moved to Denver when I was 10. I lived there until I went to Clemson when I was 18. After nearly two years in Phoenix, what are your thoughts about living in the city? I enjoy living in Arizona. It may get too hot sometimes, but everything else about Arizona I really enjoy! What do you make of soccer culture in phoenix? The soccer culture in Phoenix to me is the best in the USL. In the 2 years I’ve been here, I’ve seen it grow a lot and it keeps getting bigger everyday. What are some things culturally that you wish Phoenix had more of? To be honest, I really enjoy Phoenix - the atmosphere, the people, the culture and all. In the end I wouldn’t change much except maybe bring a Zaxbys over here and some Southern BBQ! What were some of the best parts of the last season for you? There were a lot of things that happened last season that I will never forget, but one of the best parts of last season was definitely winning the Western Conference. How was your experience playing alongside Didier Drogba? Playing with Didier Drogba was surreal. Not many people get to experience learning from a person that has such a positive impact around the world both on and off the field. I will never forget all the things I learned from him and I’m very grateful for it. On that note, if you could play alongside any player in history, who would it be? It would have to be Zinedine Zidane. He has always been my favorite player and always will be. Kevon Lambert told us that he’s the sharpest dresser on the team. Do you agree with that? Best boots you’ve ever played in? You get to pick one jersey from soccer history to play in forever, which is it? It would have to be a Zinedine Zidane France World Cup jersey due to the fact that I was in France when they won the 1998 World Cup which I will never forget. With the 2019 season finally underway, what are your expectations? My expectations this season individually is to be better then I was last year in every aspect of my life. As a team we must make it back to the finals but win it this time. Anything less is unacceptable!